As promised, this week we are going to dive into the topic of ‘worm castings’ – it is a fascinating topic (well, for me anyway – haha) and there is a LOT of ground to cover, so this is definitely going to be a multi-part newsletter feature. In fact, I’m going to leave it completely open-ended for now, and will see where the topic leads us. To get things started, we will (as per usual) begin with an overview – basically a rough map of the territory that lies ahead. Before we really jump in though, I think it is quite important that we deal with the ‘worm castings’ vs ‘vermicompost’ issue. This is something that can cause a fair amount of unnecessary confusion – especially among those people just getting into vermicomposting. I have of course written about this in the newsletter previously, but what better time for a review than here in our inaugural installment of the WFS ‘Worm Castings’ series? Firstly, it’s important to realize that most people use these terms interchangeably (myself included), and when it comes down to it, this is not such a big deal. In fact, I’ll warn you right now that my use of the term ‘worm castings’ should be assumed to potentially include vermicompost at times as well. It is still important that everyone be 100% clear on the difference between these however. In technical terms, worm castings are basically just ‘worm poop’ – i.e. ingested food that has then passed through the digestive system of the worm. These are the magical little turds that all the plants are raving about. Vermicompost on the other hand, is the dark, humus-rich material that is produced in a worm composting system, BUT unlike castings, it is an ‘all-inclusive’ material mix – containing plenty of worm castings, along with any other decomposed, or partially decomposed materials that have not actually passed through a worm’s gut. It is of course the castings that make vermicompost as valuable as it is – the higher the percentage of worm-worked material the better (there are some exceptions to this, and we’ll discuss this in more detail next week). Some would argue that there is really no such thing as “pure worm castings”, and that vermicompost is therefore the more accurate term to use. While this opinion certainly has some merit, it is quite possible to create NEARLY pure castings if you use high densities of worms, long enough retention times, and fine screens to separate out most of the debris. This is also more easily achieved when the starting materials has been pulverized and mixed to a uniform consistency before feeding to the worms. In other words, the dark compost material we remove from our worm bins and add to plants is probably most accurately referred to as vermicompost, while the finely screened material produced by a vermicomposting pro using a large-scale flow-through reactor (just an example off the top of my head) would be much closer to ‘pure worm castings’. 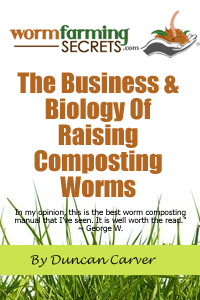 So what is it that makes worm castings so incredible, and vermicompost distinct from ‘regular’ compost? Well, again it comes down to the passage of materials through the earth worm gut. We’ve talked before about the importance of microbes in a worms diet, well interestingly enough, the worms gut is absolutely loaded with countless beneficial microbes that help to breakdown and stabilize the food materials as they pass through. Of course, we have to remember that there is some actual digestion involved as well (i.e. a worms purpose in life isn’t producing castings to make us happy! haha), and these microbes lining the alimentary canal help the worms to derive nutrients from the food materials. Aside from creating a humus-rich (and thus stabilized) material – which is very helpful in itself – the passage through the worm gut adds an incredible number of beneficial microbes to the material. These microbes can in turn produce plant growth stimulators, help the plants to absorb key nutrients, and fend off disease organisms, among various other important roles. Interestingly enough, when worm castings are sterilized many (if not all) of their beneficial qualities are reduced or eliminated. That said, castings themselves DO also essentially represent an all-natural, slow-release – thanks to a mucus coating – nutrient source for the plants. It is important however, not to get caught up in N:P:K (the ‘big 3’ essential plant nutrients) la la land – some people mistakenly assume that worm castings are a mediocre soil amendment at best, simply because the N:P:K values are typically very low! This is of course absolute nonsense, and it’s the main reason I tend to refer to castings as a ‘growth promoter’ rather than a ‘natural fertilizer’ (or some similar label). 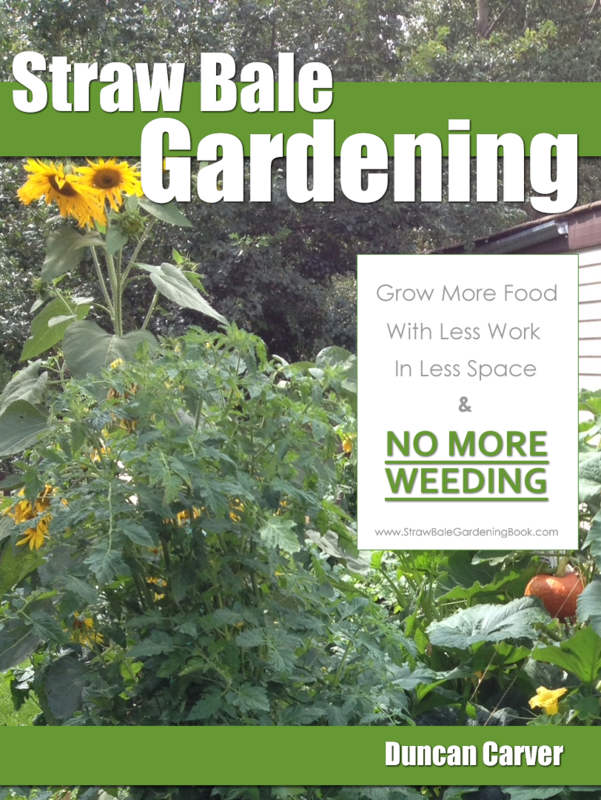 Even IF the microbial qualities and nutrients are completely discounted however, worm castings (like other ‘composts’) STILL possess excellent soil conditioning properties as well. The complex humic structure helps to capture and retain soil moisture and nutrients, while increasing oxygenation. These types of materials also act as a toxic sponge, grabbing and binding dangerous molecules, such as those of pesticides and heavy metals. Despite, all the amazing properties of worm castings, this material tends to be underrated or ignored – at least in comparison to the wide variety of ‘composts’ that grace the shelves of our local garden centers. This seems to be slowly changing however (and is certainly not the case is SOME regions), and I am both hopeful and optimistic that this ‘black gold’ will become a much more widely used and in-demand horticultural amendment in the years ahead. Next week we will start discussing the amazing ability of castings to stimulate plant growth, and the scientific evidence that’s been compiled in this field, thanks to numerous academic studies over the years.